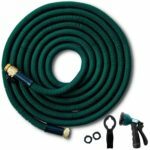 Garden season is upon us, and if your old garden hose is cracked, split and leaking, it’s probably time for an upgrade. 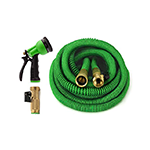 An expandable hose is a great addition to your arsenal, being that they are compact and lightweight. They are often made of some sort of small diameter flexible inner tubing, encased by a thick, durable, yet also flexible exterior. The tubing expands when water flows through, but collapses to a fraction of the size making it easy to store, transport and use. These hoses don’t kink, twist or get tangled. In other words, they’re a godsend. We reviewed a few of the most popular ones out there so you can make an informed decision. 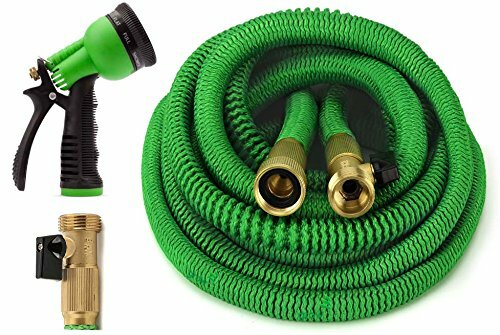 Check out these expandable garden hose reviews and get watering! Check out this comparison chart for a quick rundown of the best expandable hoses out there. Full reviews can be read down below! 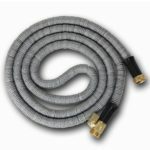 Q: What are expandable hoses? 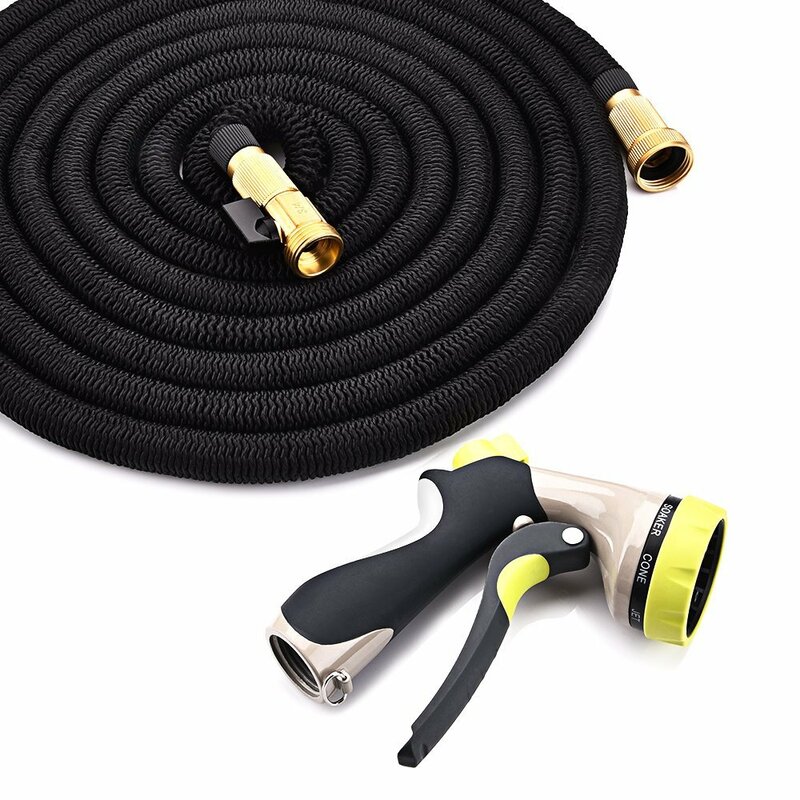 A: An expandable hose is different from a traditional hose in that instead of a single tube of thick rubber material, it is composed of a thin inner latex tube, surrounded by a thick and durable nylon coating. When water is not running through them, they are generally around 15-18ft long, but when water fills the tube they expand to up 50ft+. Q: What’s so great about them? A: The expanding and shrinking design allows them to be more easily stored than traditional versions due to their small and compact size. As a result, they are also a fraction of the weight, averaging around 2.5lbs for a 50ft length, compared to a 10lbs rubber model of the same length. This is makes it much easier to use and carry around. Lastly, the unique design prevents kinking and tangling while in use and while putting it away, making them extremely convenient. Q: What to look for when buying? A: If you’re looking to buy the best expandable hose, there are a few things to keep in mind. What length do you need? If you have a very large yard, you may need to get longer than the typical 50ft length (when expanded) in order to reach everywhere you need it to be. 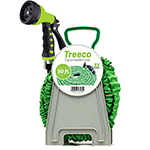 Some brands provide a spray nozzle to attach to the end at no extra cost, if you already have one, then you can save and go with a brand that doesn’t include one, although it could be nice to have a backup. 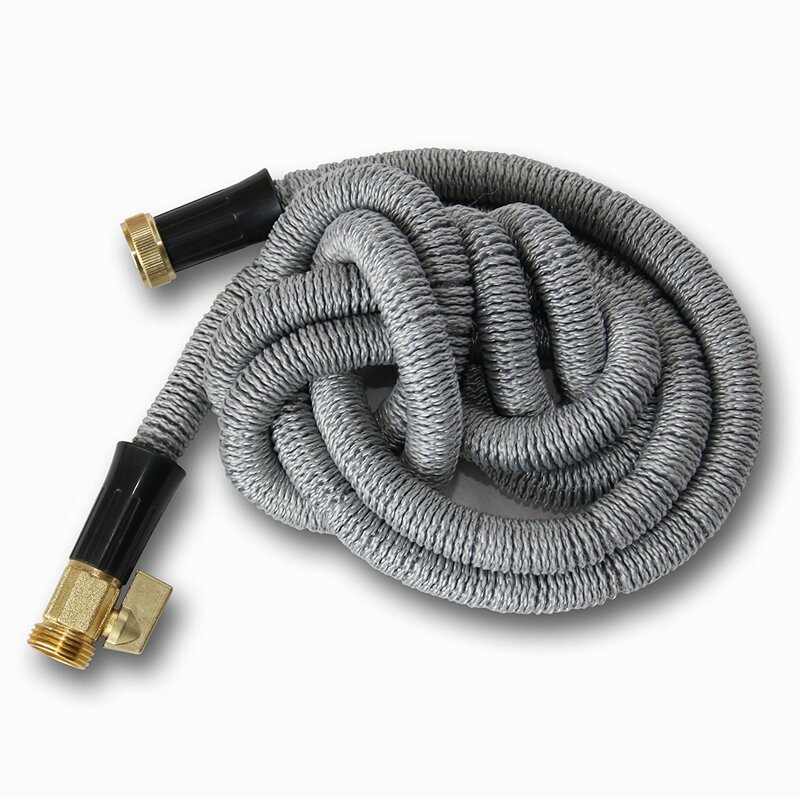 Lastly, although the nylon exteriors are extremely durable, they can still be vulnerable to punctures like rubber hoses. 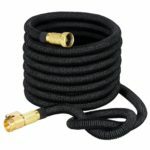 If you have dogs that love to play with your garden hoses, you may want to look for a heavy-duty thick rubber hose such as this one. 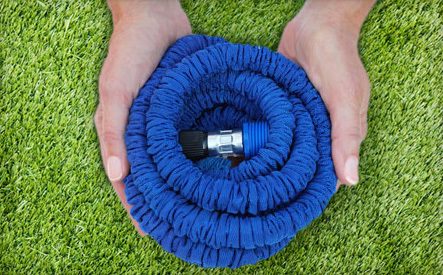 Ready to get the best expandable garden hose? Below are the full reviews of each product we featured in the comparison chart above. Notable Features: Non-braided exterior has a uniform shape, no thinner sections that could more easily rip. Negatives: Usually around $10 more than other cheaper brands. 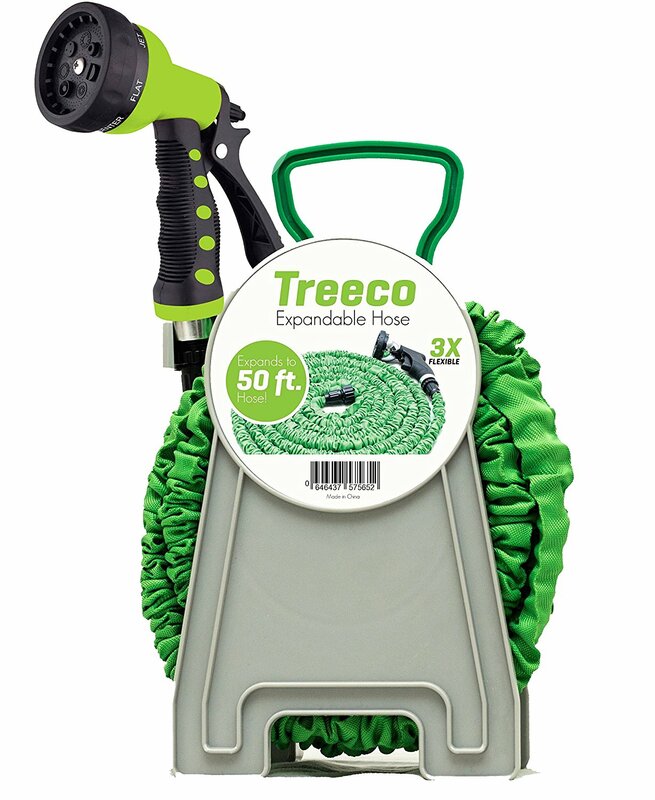 Notable Features: Also available in 25ft, 75ft and 100ft lengths.